A volcanic island with black sand beaches, St. Eustatius features two very different landscapes. The southeast end of the island is dominated by a 600 meters high, dormant volcano, the Quill, full of dense forests and clouds that bring rain forest conditions, while the lower northern hills that formed from an eroded, extinct volcano, have a drier weather pattern and savannah-like vegetation and fauna. The island’s only town, Oranjestad, is on a famous historical harbor that once made St. Eustatius a thriving centre for trade in the Caribbean. The St. Eustatius National Marine Park encircles the entire coastline from the high-water mark to the 30-metre depth contour and extends up to three kilometers offshore. The marine park boasts a network of beautiful, biologically rich patch coral reefs, extensive seagrass beds and open water communities, which are considered amongst the healthiest in the Caribbean. In some parts of the park, abundant stands of rare black coral can be found and general coral cover reaches up to 50%. Within the marine park are two well-defined and actively managed reserves in which no fishing or anchoring is allowed. Tenfold increases in some fish species have been found within these reserves. St Eustatius National Parks (STENAPA) is a non governmental, not for profit foundation incorporated in the Netherlands Antilles in 1988. It is the only organisation on St Eustatius with a mandate for environmental protection. 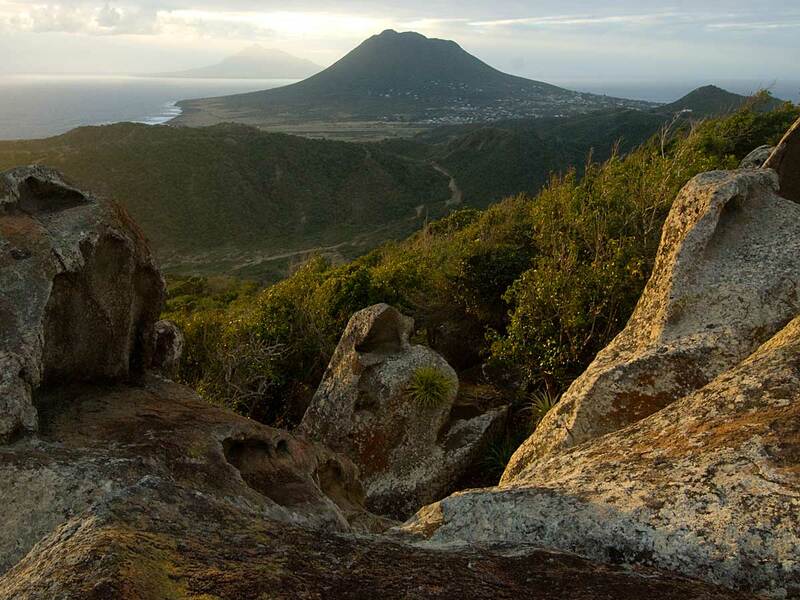 STENAPA is legally mandated by the Island Government to manage all the island’s protected areas (the Statia National Marine Park, the Quill/Boven National Park as well as a young Botanical Garden) on the 21km2 island of St Eustatius. Collectively, the protected areas account for 33km2 – more than the total land area of St Eustatius.